Jane Powers sponsored a table at the A PLUS (Academics Preparation Leadership Unity Sports) at the Boys & Girls Clubs of King County today. Money was raised to support the youth program at the Boys & Girls Club. It was a great event with both Brandon Roy, NBA All Star, and Steve Ballmer, Microsoft CEO, speaking at the event. Brandon gave an inspirational talk about how his parents helped to prepare him for life, that kids need guidance from their parents, teachers, and coaches, and that he knows youth programs like A PLUS helps kids get ready for life. Steve touched on the importance of programs like these, even getting a little emotional at one point noting that his son was graduating from high school today. There must have been at least 300 people at the event. 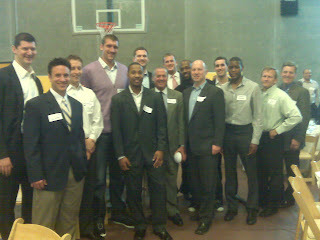 The accompanied picture is of Seattle Prep alumni and affiliates that were at the event. 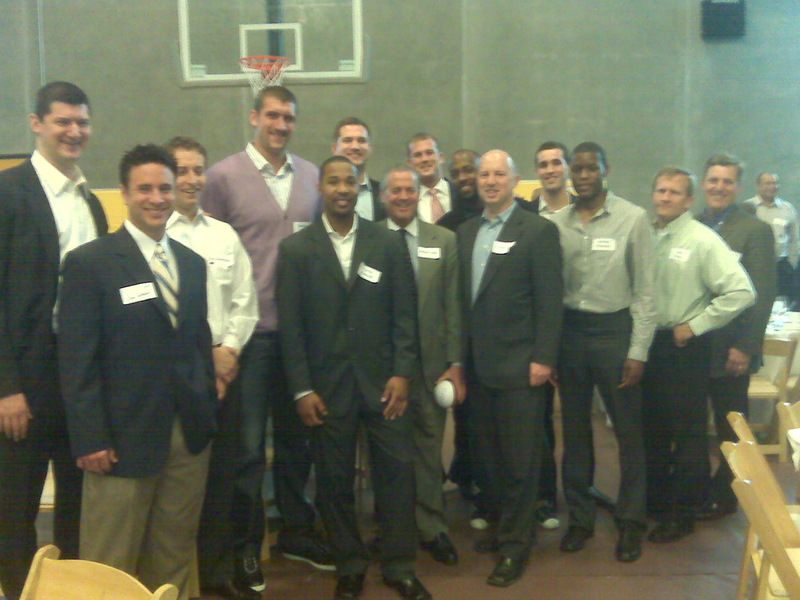 Center, wearing the purple sweater, is Spencer Hawes who was traded today from the Sacramento Kings to the Philadelphia 76ers. In front of him is Tavio Hobson, the Program Director of A Plus. To Tavio's left is Brian Losh, Ewing & Clark CEO.